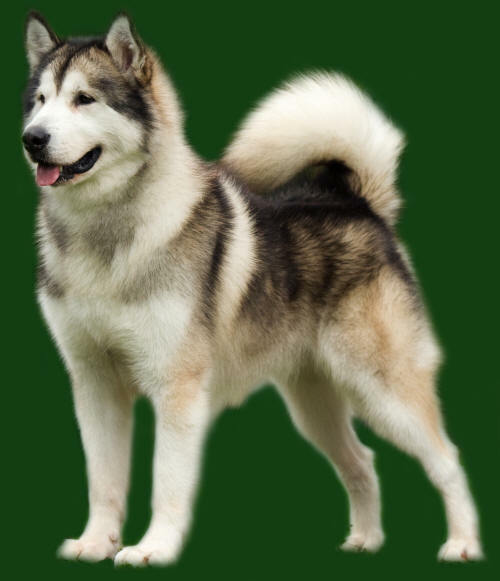 Louis was our third homebred champion sired by the UK’s 1st Champion Malamute ‘Blue’. 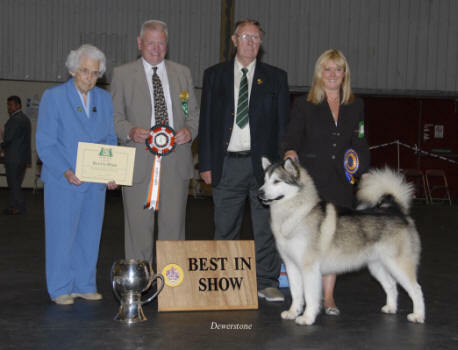 Louis was the 1st Malamute ever to win Best In Show in the UK at an All Breeds Championship Show and he did this twice in one week! Louis was the most wonderful dog to show, work and live with. He was so affectionate, easy going and adaptable. Not only a great ‘cuddle monster’, he also had outstanding conformation with the most appealing head, fabulous bone and plush coat with great feet. 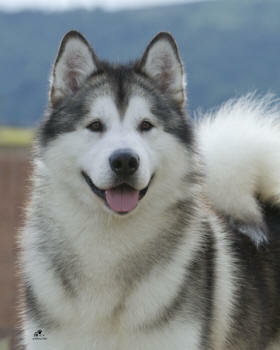 Louis excelled on the move and had that steady, balanced, tirelessly efficient gait required of a Malamute. Quality, through and through. He gained his WPD title and spent many a winter on the trail with his daughter Truffle. He was a great all-round dog. I thought I was lucky enough to have my once in a lifetime dog with ‘Blue' but how unbelievably grateful and appreciative am I to have had Louis also. 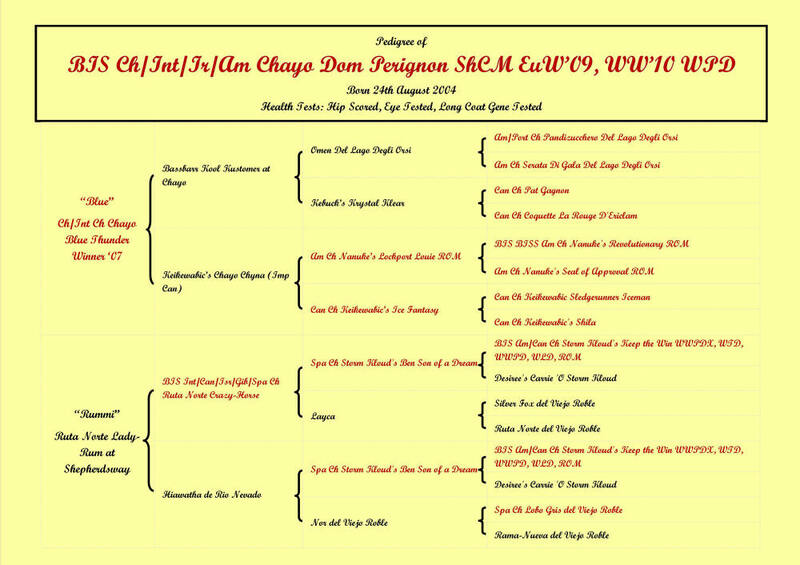 An outstanding producer, he sired a UK and European Champion. 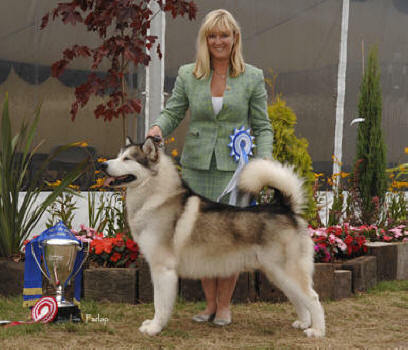 The first UK All-breeds Best in Show winning Malamute.